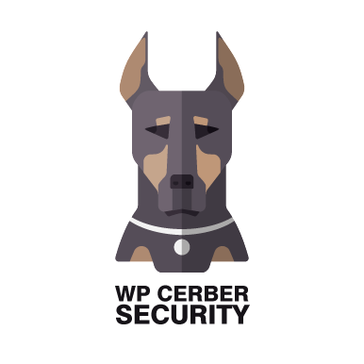 Cerber Security vigorously defends websites against hacker attacks, spam, and malware. Blazingly fast and reliable by design. Work for Cerber Security, Antispam & Malware Scan? Learning about Cerber Security, Antispam & Malware Scan? What Website Security solution do you use? Sucuri is a managed security service provider for websites. Our cloud-based tools provide complete website security, including intrusion prevention, detection, and incident response. Symantec Web Security is a cloud based software that helps protect organization from compromised websites and malicious downloads and allows user to control, monitor and enforce Acceptable Use Policies for organizations users, whether on-premises or away from the office. SiteLock​ ​is the global leader in website security.​ ​The company helps find, fix, and prevent​ ​website attacks, accelerate website performance, and meet PCI compliance standards for businesses of all sizes. Founded in 2008,​ ​SiteLock protects over 12 million websites worldwide. Wordfence WordPress security plugin provides WordPress security, protecting your website from hacks and malware. Mitigate getting blacklisted by Google, being blocked by Webhosts or any possible security threats from the most complex malwares with MalCare's comprehensive and powerful automatic website malware scanning. Complete SSL/TLS management enables better control over certificate security and compliance, while giving businesses 24/7 visibility and at-scale rapid remediation. Secure and accelerate your websites, apps, APIs, media streams, and more with edge services on a platform built for cloud scale. Malware cleanup and blacklist removal, security monitoring, uptime monitoring, DNS/IP checks and more. * We monitor all Cerber Security, Antispam & Malware Scan reviews to prevent fraudulent reviews and keep review quality high. We do not post reviews by company employees or direct competitors. Validated reviews require the user to submit a screenshot of the product containing their user ID, in order to verify a user is an actual user of the product. Hi there! Are you looking to implement a solution like Cerber Security, Antispam & Malware Scan?